Now that the holidays are in full swing, we’re embarking on the winter season in Lexington, MA. 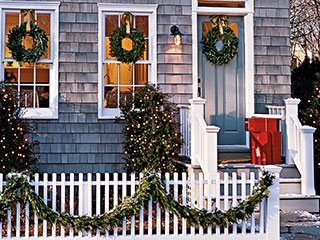 While a white blanket of snow on this historic town offers added charm, you may be wondering how to still keep your home’s curb appeal inviting with the gray winter skies and bare trees. Whether you’re trying to sell your Lexington home this holiday season, or are just hosting holiday gatherings with family and friends; the first impression of your home can set the tone for a welcoming experience. Below are seven great ways to boost your Lexington home’s curb appeal this season. 3. Fresh Paint- Your Lexington home is more visible in the winter months as trees are free from their leaves and your home’s condition is more exposed. Touching up chipped or faded paint is a great way to help your Lexington home look refreshed. 6. Lighting- The use of lights can really make your home stand out with the shorter winter days. Since there is more time without the suns light, using a variety of lighting can give your home a warm glow. Indoor window lights in each room provides a nice appeal, while lights along the pathway up to your home, a bright porch light and tasteful Christmas lights are all ways in which to enhance your Lexington homes’ curb appeal. I hope these tips are helpful as you prepare to have friends, family or even potential buyers to your Lexington home. Even if you’re doing just for your sake, you’ll find this update to your curb appeal refreshing and you’ll enjoy seeing an attractive home and lawn each time you come home. If you are hoping to sell your home before the end of the year, but aren’t quite sure where to start; please let me know! I’d be happy to answer your questions and guide you through each step of the home buying experience! 2nd Annual FEASTival on Tuesday, November 22 from 12-4. Location: Seasons Four, 1265 Massachusetts Avenue, Lexington Ample parking available! As your local Lexington MA area real estate expert, I am happy to provide information on events and happenings in the area as well as satisfy all your real estate needs. Visit our Facebook page for even more information on the Lexington MA area. With the Holidays just around the corner, here are several ideas to add a little fun and creativity to your events in Lexington MA. Look for more great ideas and events in the Lexington MA area in the upcoming months. 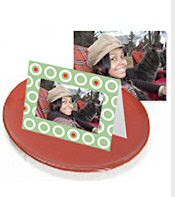 Liven up your Thanksgiving dinner table with great looking personalized place cards. They’re sure to put a smile on your family and friends’ faces the next time they come over. Don't want to spend money on cards? Why don't you make your own! Personalize and Customize for a truly special memory. These great ideas are brought to you by Kodak. As a Lexington Real Estate agent, I am happy to provide these great tips and ideas as well as fulfilling all your real estate needs. I look forward to hearing from you! Host an Eco-Friendly Party in Lexington this Holiday Season! It’s hard to believe that Thanksgiving is just around the corner! 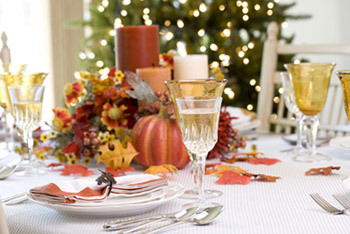 With this turkey-filled day, the holidays go into full swing with festive parties and gatherings with family and friends. If you currently live in Lexington, you’ll enjoy the charming atmosphere and events throughout the community that accompany this time of year! We all know that the holidays are a great time to give back, but have you considered how you can give back to the environment over the next few months? Whether you’re visiting loved ones over the holidays or are hosting them in your Lexington home, you’ll want to be sure to take a look at these nine tips for an eco-friendly holiday party! 1. Switch to Convection- Now, I don’t expect that you’ll run out and buy a new oven before your holiday party, but this is something to consider for the very near future! Switch from a conventional oven to a convection oven. The difference? A convection oven continually circulates heated air, which means food cooks more quickly and reduces energy usage by 20%! Imagine being able to prepare food faster and save on energy- all from one appliance! 2. Cloth Napkins- These “things of the past” are making a comeback! The average American will use around 2,200 paper napkins per year- which are never recycled! Using cloth napkins will cut down drastically on waste and will make any event feel more special. 3. Buy Local- Shopping locally from farmers and other various growers for ingredients for your holiday party (or any time!) is a great way to cut down on our carbon footprint as well as help support sustainable growing in Lexington and surrounding areas. 4. Reusable Towels- When cleaning up after your holiday party; be sure to use reusable towels instead of paper towels. Microfiber towels will hold on to dust, dirt and food particles since the fibers act like a magnet. After cleanup, throw them in the wash and you’ll be able to reuse them over and over! 5. Nix the Microwave- As much as possible, reheat or cook items in the oven or on the stove. Certain plastics can produce harmful fumes when put in the microwave and, while not overtly harmful, microwaves do leak radiation. It’s just better for your health and for the environment to use other options as often as you can! 6. Glass Containers- Storing leftovers or dried foods in glass containers with lids are much safer than the plastic alternative. When heated, certain plastics can break down and put chemicals into your food. Learn more about harmful and safe plastics. 7. Chill Out- Be sure to put a pitcher of water in your fridge at least an hour before your party to ensure it’s completely chilled. Those that prefer water won’t have to stand at your sink and let the water run until it gets cold. The average kitchen faucet flows at a gallon per minute! Thinking ahead can help to chill water before will reduce the waste that a running faucet will produce! 8. No-Cook Dishes- Save energy and give your oven a rest by preparing dishes that don’t have to be cooked. Think: salads, fruit dishes, veggie dips, yogurts and much more! You’ll find yourself being more creative and spending less time in the kitchen! 9. Fill the Dishwasher- To avoid wasting water and energy, be sure to have a full load each time you use your dishwasher. Surprisingly, new energy efficient dishwasher can be more eco-friendly than washing dishes by hand! Be sure to air dry and skip the pre-rinse cycle as most newer models are effective enough to get your dishes clean without the added step! Of course there are a wide variety of other ways to go green this holiday season, but these should help get you started for an environmentally friendly holiday! As always, as a Lexington Real Estate agent, I’m here to help in any way I can! Whether you’re searching for a Lexington home or are considering selling and aren’t quite sure where to start; feel free to let me know! I’d be more than happy to meet with you to discuss your real estate needs! Death by the Book, Cary Library's mystery book group meets on the second Monday of the month, from 10:00 - 11:30 a.m. in the Learning Center at the Main Library. Each month, the group will explore a new sub-genre within the mystery field. A month prior to each meeting, a librarian will compile a list of titles that fall within the upcoming subgenre. Along with the list, library owned copies of the books will be placed on prominent display in the library. Anyone interested in joining in on a discussion should read at least one book within the month's sub-genre and come prepared to share their thoughts on the title with others in the group. Based on the extensive travels of the lecturer, Barry Pell, this presentation will discuss how human activities have affected the people and animals of four of the earth's most fragile places -- the Brazilian rainforest, the Galapagos Islands, Canada's Hudson Bay polar bears and China's endangered pandas. Barry Pell is a world traveler and photojournalist. Mr. Pell's photography accompanies his presentation. Friday (11/11)10:00 AM- 11:30 AM Annual Veteran's Day Parade along Massachusetts Avenue from the Police Station to the Battle Green for Ceremonies. Stopping to lay wreaths at monuments in front of Cary Hall, 1605 Massachusetts Avenue and the Visitor's Center, 1875 Massachusetts Avenue. Ceremonies on the Battle Green include: Flag Raising, Wreath Laying and the 2011 Veteran's Day Essay Contest Winners. In case of inclement weather Ceremonies will be moved indoors to Cary Hall, 1605 Massachusetts Avenue for a 10:00 am start. Check voicemail 781-862-0500 x 708 after 12 Noon on November 10, 2011 for updates. Friday (11/11) 12:00PM- Remembering the Veterans. A family oriented program honoring Lexington's Civil War Veterans, including Civil War re-enactors, crafts and music. Located at the Lexington Depot, 13 Depot Square. Free to the public! Now that the kids of Lexington MA were finally able to go trick or tricking and they have eaten all the candy they can now what? Here are 5 ideas to get rid of that mound of halloween candy. Even if you don’t plan to bake with it, freezing candy can prolong its shelf life. Then a piece or two can be dropped into lunch bags as a special treat or as an occasional reward. Candy such as Dots, Necco Wafers, Skittles and hard candies can be stored and used later to decorate holiday gingerbread houses. Halloween candy is a key ingredient in countless recipes. Just go to myrecipes.com and put in keyword “ Leftover Candy”. Another idea is to search the candy company’s website. Milkywaybar.com lists recipes such as Milky Way Brand Brownie Gems and Turtles. And www.brightideas.com has recipes that use M&M’s, Twix, Dove, Skittles and several other candy brands.Consider substituting candy for chocolate chips in a basic recipe. Halloween candy can make the holidays brighter for troops serving overseas. 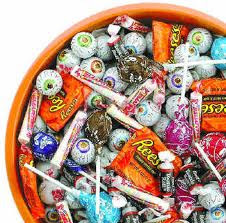 Donate the candy to children in the hospital who may not have had the opportunity to trick-or-treat themselves. Crafts are a great way to use candy and not get the calories! Colorful hard and gummy candies can be used to make candy necklaces, which could be a fun party activity. Gumdrops and Life Savers can be used when making a garland for your Christmas tree. Lexington MA Sunday Open Houses! Here are the Open Houses in Lexington this weekend. Check them out below! If you would like more information or a private showing, please let me know. • The property is only a temporary rental of your primary residence. • The income generated from the rental does not meet minimum threshold requirements. • Putting together the forms necessary to complete the reporting to the IRS would create a hardship for you. About the author: The above Real Estate information on rental property tax law changes was provided by Bill Gassett, a Nationally recognized leader in his field. Bill can be reached via email at billgassett@remaxexec.com or by phone at 508-435-5356. Bill has helped people move in and out of many Metrowest towns for the last 24+ Years.